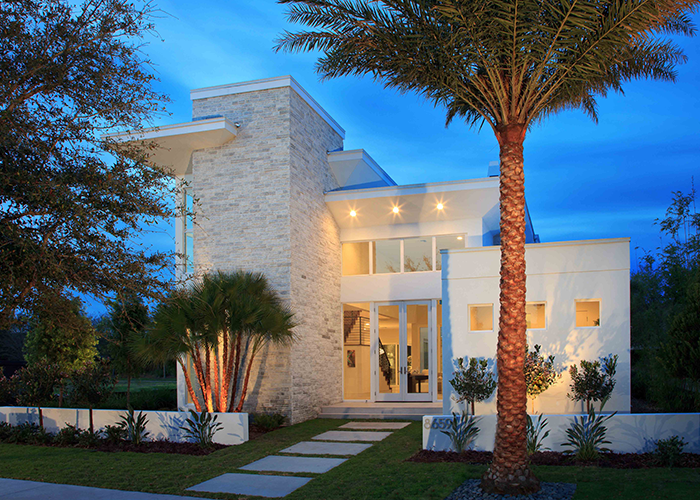 Located in Orlando, Florida, Lake Nona and Laureate Park have named Phil Kean Design Group and sister company, WAYCOOL Homes, LLC as approved luxury custom home builder within the community. Our team of modern architects is extremely honored to be among the select list of approved designers and builders for the new upscale communities. Home of the new Lake Nona Medical City, the community’s vibrant environment, elite-level golf course, 100-plus court tennis center, and pedestrian-friendly neighborhoods offer are a perfect match for our luxury custom homes. Residential areas in Lake Nona and Laureate Park include picturesque surroundings, world-class amenities, and ample shopping, entertainment and dining options. Among some of the most coveted characteristics are lakefront properties with private dock access and walking distance to pristine golf greens. Aside from its natural beauty and resources, the Lake Nona area offers a central location making it a highly sought after Central Florida community. Residents enjoy plenty of recreation and entertainment opportunities without having to go far from home. Both communities have a select number of residential home sites and lots available for purchase. Visit our Facebook page to watch a video of our latest Lake Nona custom home plan and the WayCool Real Estate website to see our listings in Lake Nona and Laureate Park. Also be sure to check out our portfolio for an in-depth look at our previous and current projects.